Share what you think about VUDU, and your favorite ways to save there! 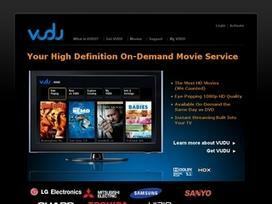 It would be great if we could earn VUDU dollars per movie we purchase or rent! What an incentive to purchase even more if we knew the VUDU dollars earned would buy another movie or allow free rentals. I love it!!!!! My collection Small but I'm planning to make it much bigger!!!! Vudu is awesome a lot cheaper than satellite, and you can pick what you want. Love the way the movie looks. It's great, but I wish I could add my Disney movies to the list when I go to Walmart. I love it... its so easy to rent and wach a movie at ur own comodity, and with no late fees and no returns..